And to think people say there is no money in mobile games! Sensor Tower, an app analytics platform, has served up some interesting findings around one of the most popular games over the past two years in mobile gaming. Clash Royale has just breached the $2 billion mark for global player spending since launching in March 2016. Not bad for a couple years on the job. But there is more is something even more impressive with this news. 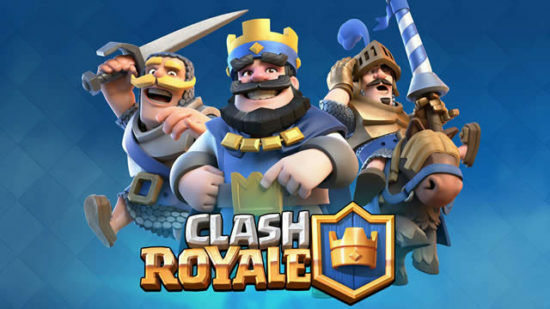 When you combine the success of both Clash Royale with Clash of Clans, it makes Supercell the first-ever mobile publisher to have more than on multi-billion earning title. It’s an unprecedented accomplishment and it does validate the idea that you can indeed win the lottery more than once! If I said Clash of Clans, what’s the first word that pops into your head? Probably the word old? You will be surprise that when you dig deeper into the numbers, another interesting nugget appears. Clash of Clans has brought in more than $6 billion in global spending over the past six years and Clash Royale brought in $2 billion over the past two years. You with me so far? The games sound like they are on par with each other. You might think that the older game is fading and the newer game is the earnings champ now. But you’re wrong! In fact, Sensor Tower found that Clash of Clans brought in $70 million last month and Clash Royale brought in $40 million last month. Talk about a WTF moment. These types of numbers should be a wake up call to publishers out there. Not everyone can expect the type of success that Supercell enjoys, but when you consider the longevity of a game like Clash of Clans with six years under its belt, that’s the real story here. Longevity in the mobile gaming space. Pick any other non mobile platform and you get yearly play and burn. If you noticed, a lot of console game franchises have become nothing more than really expensive yearly subscription. It’s a lot of one (year) and done. So if anything, give a round of applause to Supercell because they deserve it. They’ve managed to create two incredibly successful titles and have proven that mobile games can sustain revenue generation for multiple years. It would be nice to see continued growth in the mobile gaming market because for gamers, the more the merrier.